Because of my job I probably switch up my beauty routine/products more than the average gal. When I find some new favorites, I can’t wait to share them with you! Over the last month or so that’s just what happened. Now that it’s getting warmer it’s the perfect time for some updated spring beauty products. La Mer is a skincare brand that’s been on my radar for a long time. I always knew the products would be luxe, but recently got to try a box of goodies and was blown away. Not only do they smell amazing but they have left my skin feeling softer and smoother. I also love how heavy duty the packaging is… that may seem like a weird thing to note but every jar seems really durable and made well. So far my favorites are this eye cream, micellar water, serum and soft cream. I know I did a post a few weeks back on my favorite self-tanners, but this one hadn’t come into my life yet. You guys, it’s everything and more. It’s really natural and doesn’t smell like a self-tanner… which is basically unheard of. I’ve been using the gradual tanner once a week and feel really bronzed and not at all orange. I used to use a pedegg quite regularly, but I always forgot to buy the replacement blades so it got dull and unusable. I’d been telling Jeff I wanted something else so he did the research and got me this one for mother’s day. My feet were embarrassingly rough and I honestly haven’t gotten a pedicure since my baby shower (ain’t nobody got time for that). After a couple of minutes with this thing and now my feet feel brand new. Everyone needs one! I have a lot of fine stick straight hair that gets so tangled when it’s wet. Because of that I don’t normally try new brushes but I saw a review for this one online and wanted to try it. I’ve been using it on my hair when it’s dry and it seems to be working really well. It’s left my hair feeling extra nourished and I’ve even used it on Crosby’s hair. I don’t blow dry my hair too often but was eager to test this one out. 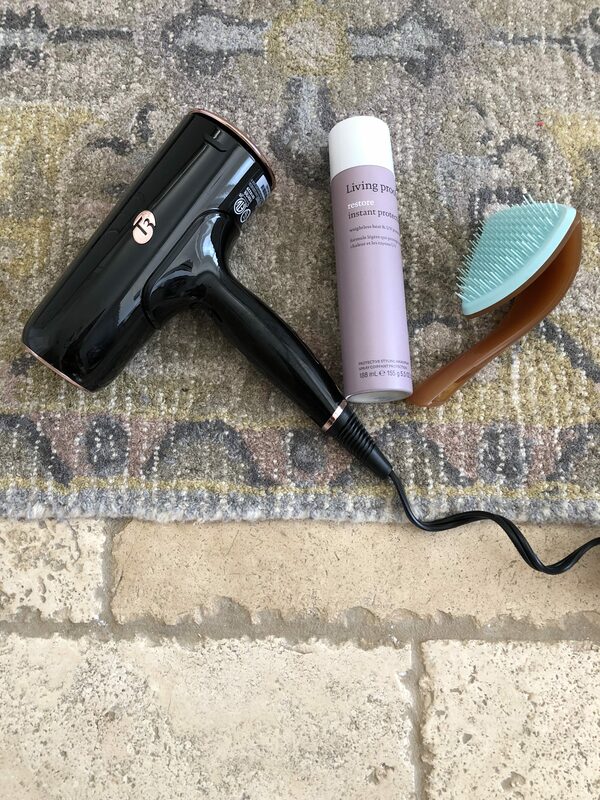 I’ve been a longtime fan of T3 products, they’re convertible curling wand is my favorite, and this dryer is just as good. I haven’t been the best at using a heat protectant on my hair and knew it was time to invest in one. I picked up this one at Ulta when I bought the brush and have been using it before I dry or curl my hair. I spray it all over before applying heat to it. I can already tell it’s working and will definitely continue to incorporate it into my routine. 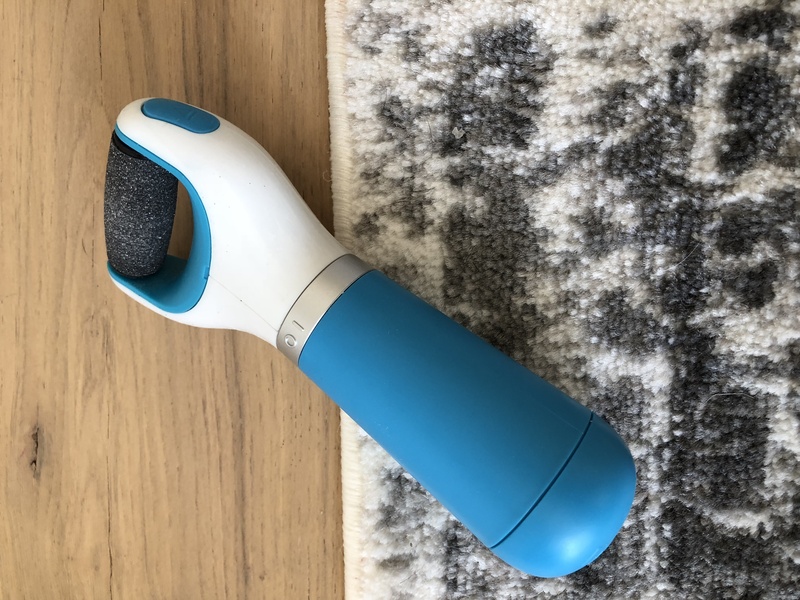 Let me know if you like these kinds of beauty reviews – I’m always testing products and happy to share!